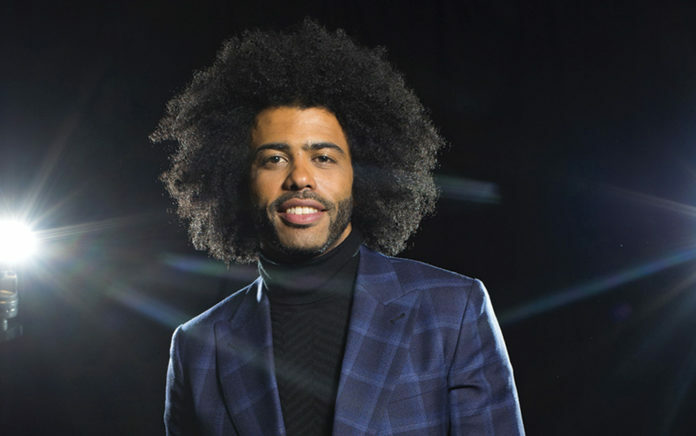 His breakout performance in the dual roles of the Marquis de Lafayette and Thomas Jefferson earned Diggs critical acclaim, and soon after came the awards (Tony, Grammy), TV roles (“black-ish,” “Unbreakable Kimmy Schmidt,” TNT’s upcoming “Snowpiercer”) and film appearances (“Wonder”). Now comes “Blindspotting,” opening Friday, in which he and longtime pal (and spoken-word artist) Rafael Casal star and make their feature film screenwriting debut. Given the movie’s inventiveness — it’s like a musical, but characters burst into verse instead of song — this could very well be their taking-Hollywood-by-storm moment (think Matt Damon and Ben Affleck with “Good Will Hunting”). Capturing the humor, and heartache, of a rapidly gentrifying Oakland, California, the tale tracks Collin (Diggs) and Miles (Casal) through the last three tumultuous days of Collin’s probation, as he tries to stay out of trouble — despite a police shooting, drugs and Miles’ explosive temper. Diggs, 36, an Oakland native, spoke about the movie. Q: So how are Collin and Miles, the buddies of this film, different from Daveed and Rafael, the buddies who wrote and star in it? A: We’re not particularly similar, except that we’re from the same place. The characters in the film are like composites of folks we knew growing up. A lot of the things that happen to those characters are based on stories from real life, but they didn’t necessarily happen to us. A: There’s an energetic thing. It’s like, if we’re both together, Rafael is probably the one doing more of the talking. Q: Like in the film — Rafael’s character, Miles, jabbers away. A: Rafael sort of bounces around. Q: When writing the script, was there ever a moment where you two didn’t see eye-to-eye? A: We come from a music background, where there isn’t really such a thing as a precious idea. Everything is about furthering the success of a song. The thing about a song is, you can hear it immediately when something’s not working. Writing was the same way for us. I value his opinion so much, so if he’s insisting that something has to change, then it has to change. That means he’s seeing something I’ve missed. Q: Was this newfangled take on a musical — rapping, not singing — brewing in your brain for a while? A: It was the premise going in. For us, that’s what it actually feels like in the Bay Area. It’s a real language-heavy place. A: Speaking is competitive, in a way, in Oakland. We sort of pride ourselves on being good talkers. Creating slang. A: Conversations sound like that where we come from. I have friends who’ll spit bars every so often, but they’re not rappers. They just sometimes express themselves in verse. Q: Do kids no longer find poetry intimidating? A: We went to poetry slams like some kids went to basketball games. It was just, like, a place to meet girls. They have an international slam every year called Brave New Voices (organized by the nonprofit Youth Speaks, drawing hundreds of young poets from around the world). Breaking into verse … is not foreign to kids. It’s youth-driven. Q: So tell me about the title. Collins’ ex-girlfriend is studying for a psychology exam, and comes up with this term, blindspotting, as a way to remember the meaning of Rubin’s vase, which is a real psychology term. Who knew? You give us a movie and a bit of Psychology 101. A: The whole thing about Rubin’s vase is that you see what you’re conditioned to see. Q: Right, it’s this image that looks like a vase to some, or two faces to others. People see one or the other. A: But just because you see the vase or the faces doesn’t mean you can’t see the other side. You just have to work at it. Q: Seems a good lesson in these divisive times. A: All art, I think, is about feeling empathy. And empathy takes work. It’s not easy to understand what somebody else is going through. And it goes both ways. I was with Michelle Obama and first-generation college students, who are really nervous about going to college. It’s still a mostly white institution. A lot of these students will be the only people from their background in their class. I tell them that the thing you get from college — when college works — is you learn from different perspectives. So if you’re in a class and someone is claiming something is irrelevant when it’s relevant to you, then you need to speak up about that. Part of the college experience is you championing the things you know, and being open to the things you don’t.